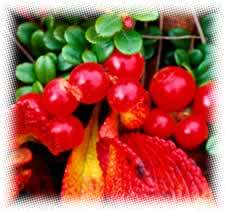 For relief from bladder infections infuse 1 1/2 grams of dried uva ursi (bearberry) leaves in a 750 ml (about 3 cups of water) and drink 3 times a day. Avoid sugar and animal products. Cautions: Short term use only, no more than two weeks at a time, no more than 5 times a year. Not for children, pregnant or nursing women. Those with with severe liver or kidney disease should not use it. Recipe Instructions: Decoction :Uva ursi's tough leather leaves are nearly impervious to water, the best method is to soak overnight, then bring to a boil and simmer 30 minutes. Start with 3 cups of water this amount will reduce to about 2 cups during the boiling process. Alternatively, soak the leaves in brandy for a week, then use them to make tea.